Israel and the US are to hold a joint military exercise, later in February, with the focus on training in ballistic missile warfare, the Israeli military says.Dubbed Juniper Cobra, the war games are also aimed at improving cooperation between the two militaries, the Times of Israel online newspaper reported on Saturday. The drill, staged every two years, is said to be in the works since 2014, when thousands of soldiers from both armies took part in a five-day event that included simulations of a missile attack. US President Barack Obama had reportedly agreed in principle with Israeli Prime Minister Benjamin Netanyahu in one meeting to increase the aid package to between USD 4.2 billion and USD 4.5 billion. The money is separate from the nearly USD 500 million in annual US funding for Israel’s missile system programs, in recent years. 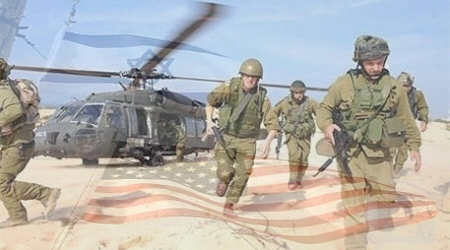 It is also on top of the US war-fighting material held in Israel, which is valued at USD 1.2 billion.